Deliciously sweet with musky undertones and a soft, butter-like consistency, papaya is best combined with a zesty taste such as lime or passion fruit (similar to watermelon that also tastes best when paired with lime, passion fruit, mint or basil!). 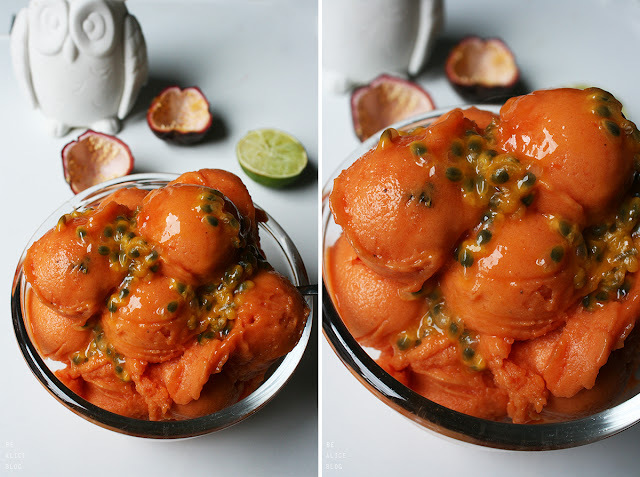 Today, I have made a simple ice cream with ripe papaya. 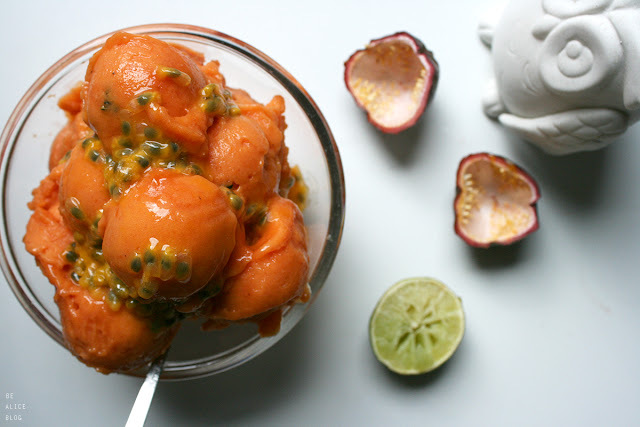 The tartness of passion fruit and lime juice in the ice cream balances the sweetness from the papaya and lends a tropical flavour to the ice cream. Papayas are a rich source of antioxidants, which is good for our cardiovascular system and also gives protection against colon cancer. Papaya contains the digestive enzyme, papain, which helps to heal sports injuries. This enzyme also helps promote faster transit of food through your gut, which makes papaya a great aid to weight loss! A couple hours in advance: Cut the papaya in half and remove the seeds. (While most people discard the papaya seeds, they are actually edible and have a delightful peppery flavour. 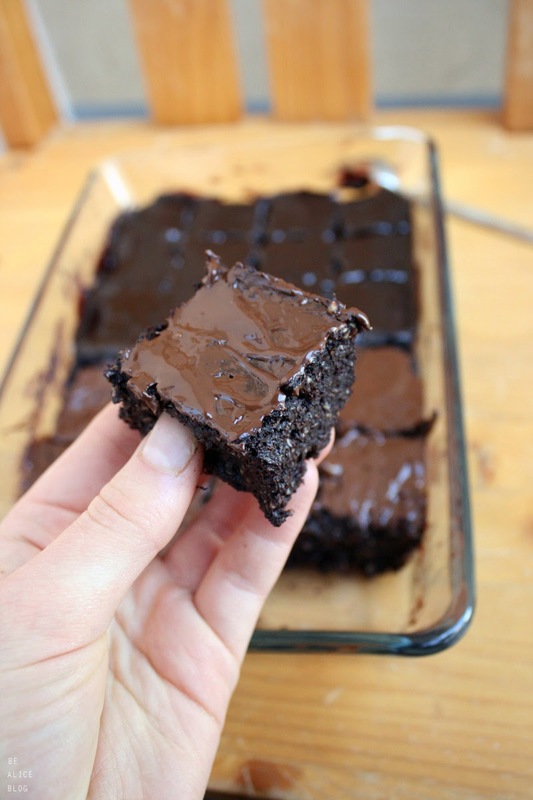 Simply rinse the seeds, pat them dry, and spread on a baking tray, lined with a baking parchment. Set it on lowest temperature setting and dry the seeds until they break apart when crushed. Then fill into a pepper mill and use as pepper!) Using a spoon, scoop out the flesh from the papaya and freeze for a couple of hours. 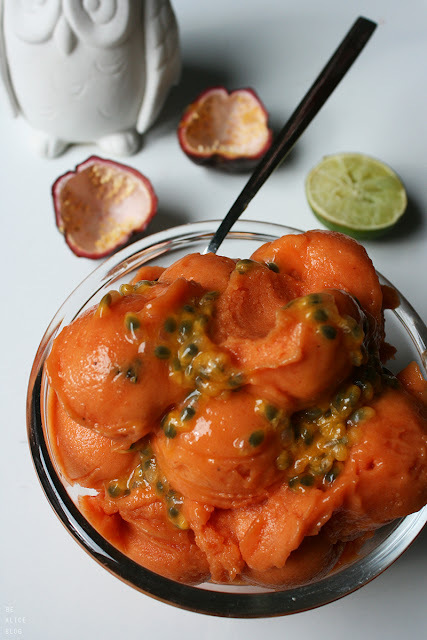 Now, place the frozen papaya chunks, your frozen bananas (broken into pieces) and the interior of 1 passion fruit in a food processor or blender and process until smooth. 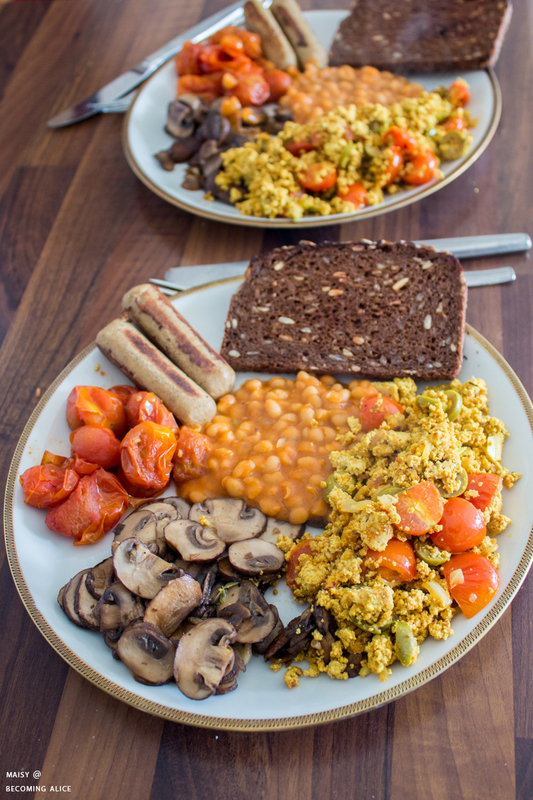 Taste and feel free to add sweetener or lime juice to your liking. 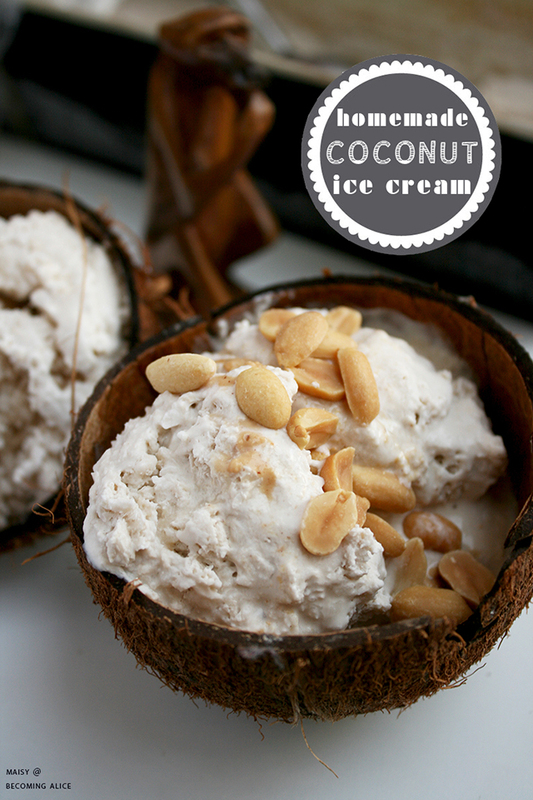 Scoop the ice cream mixture into a dessert bowl. 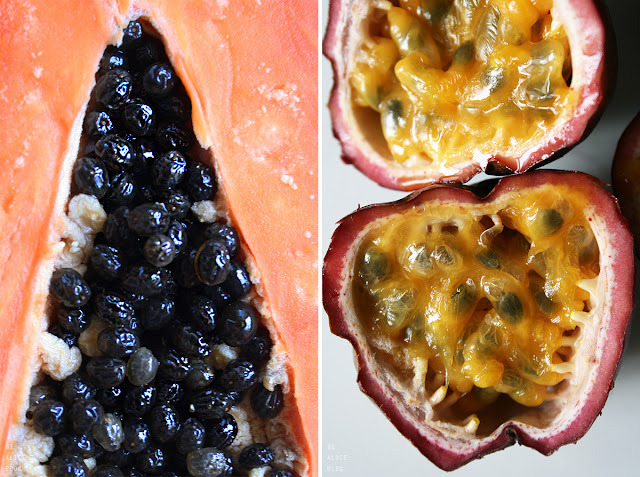 To add some "crunch" and texture, spoon the seeds of one passion fruit on top.